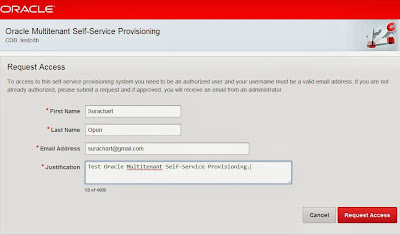 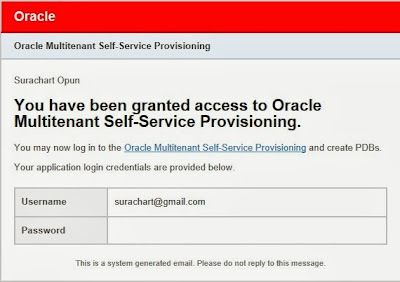 On Oracle Multitenant Self-Service Provisioning page. 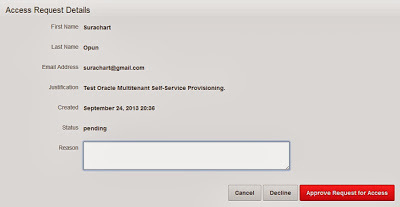 "Request an Account", I thought that's very interesting for testing how it work. Select "Request an Account" and Fill in as below picture(Please fill in available email). 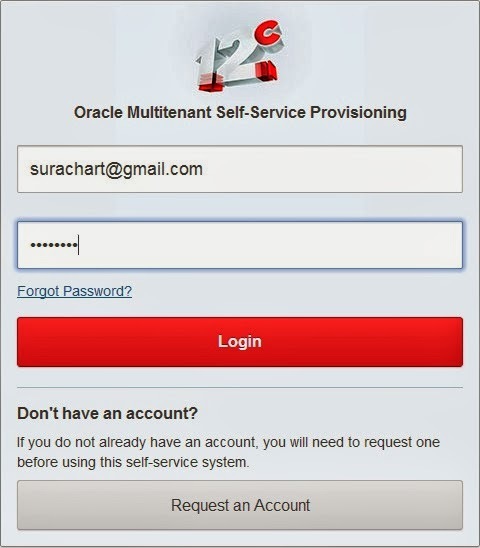 Note: User are created by "Request an Account". They have Pluggable Database Administrator (PDBA) role. - CDBAs have full access to all aspects of this self-service system. 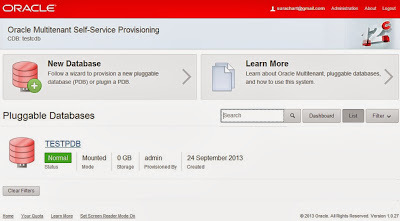 - PDBAs can create Pluggable Databases but not perform administrative functions. 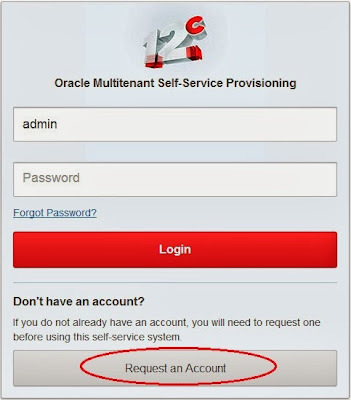 After requesting, ADMIN can check on "Self-Service Administration". 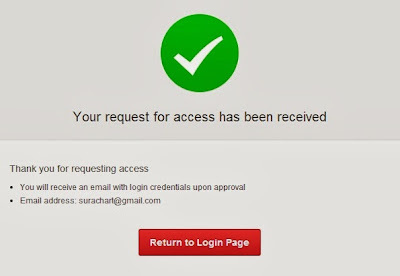 After approving... A user should receives email (Username/Password). 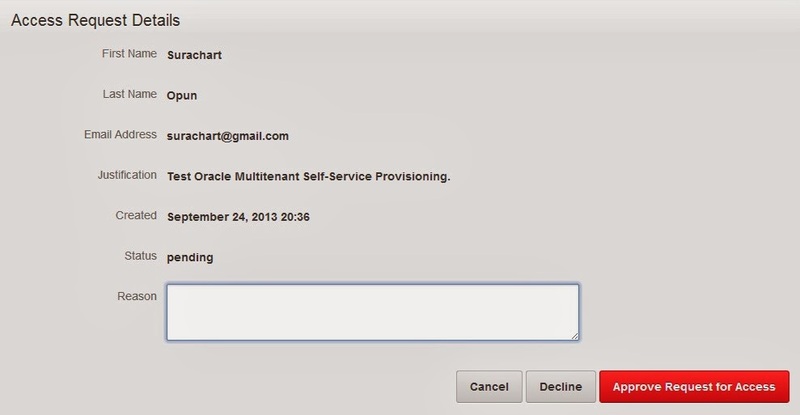 Then a user click Link in email, then login! A New Account can create/perform PDBs (they are provided as ADMIN) and not perform administrative functions. 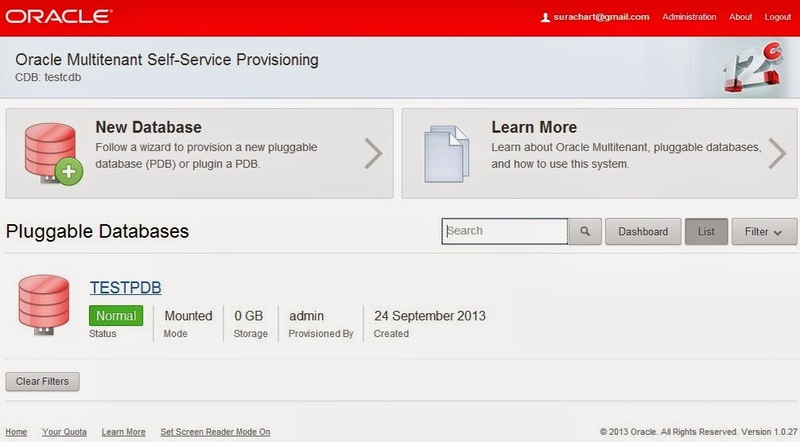 As below picture, new user can clone/close/reopen/unplug/drop "OPUNPDB" pdb, but can not on "TESTPDB" pdb.